Most people prefer to use punching bag brackets for their boxing bags. They prefer this because they don’t have to hand their bags from the ceiling – a time consuming and neck breaking process. Instead, they can simply drill a hole in the wall and use brackets for punching bags. 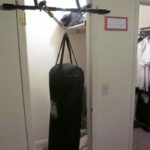 It is being said that these type of door frame punching bags can be attached to the door of any room instead of the wall. Most people have criticized this way of handing a punching bag, saying that it can weaken the door frame. However, people are buying door frame punching bags in dozens because of the many benefits they offer. The doorway punching bag brackets are particularly useful for those beginners who have just started practice. They can use these punching brackets for practicing light punches and basic boxing workout at home. 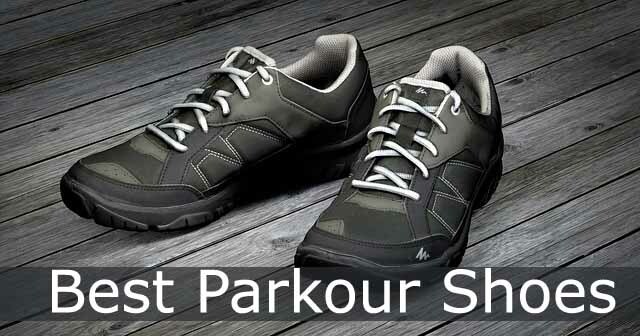 It is also great for cardio workout to lose weight faster. Here is a list of the best door frame punching bag benefits. > They can easily be attached and de-attached. 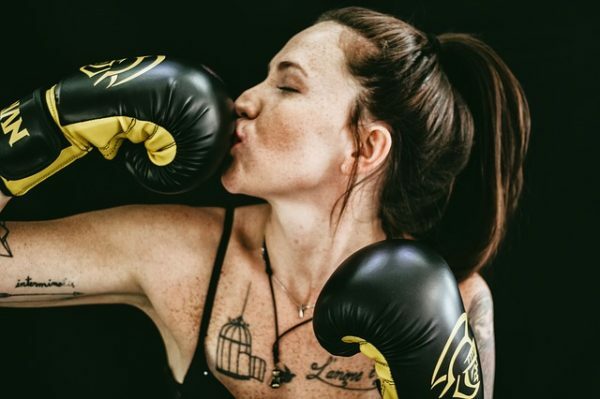 People love the door frame punching bags because they are some of the best ways to train your mind and body through boxing workouts. Now that we know about how door frame punching bags can make a difference in someone’s life. We will now focus on how to use these door frame punching bags and install them in a house. 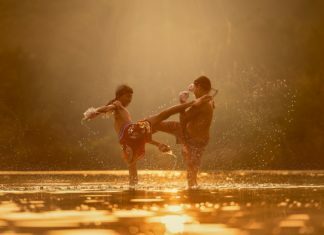 Let’s see some of the best punching bag brackets for home. 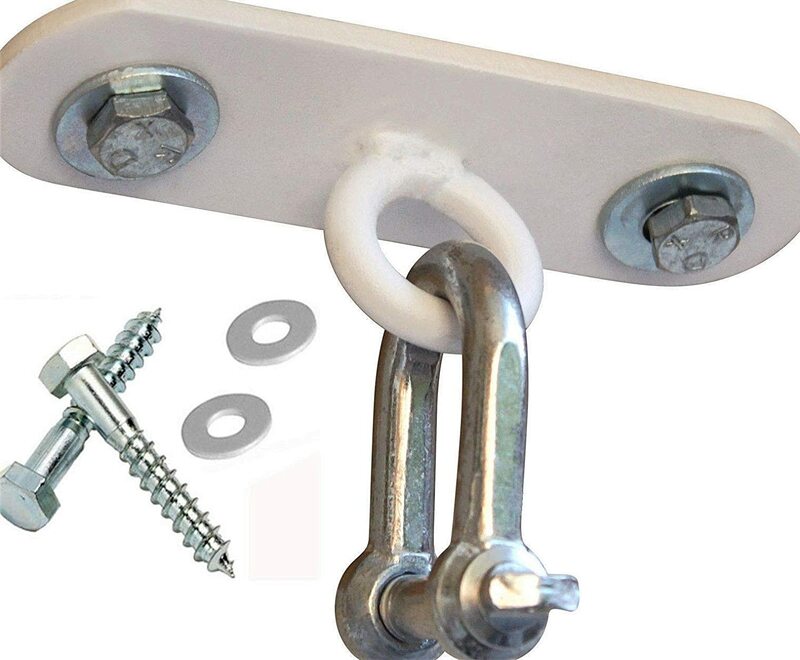 I have listed a collection of door frame and wall brackets to hang punching bags. Let us know how you are hanging your boxing bags. 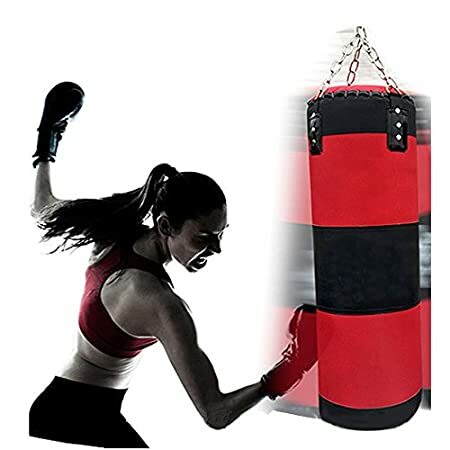 One of the best punching bag frames available online, it can easily be screwed over the door frame to provide a great MMA, boxing and kickboxing workout. The frame offers total hanging space of about 51 inches and supports a bag with a circumference of 38 inches and height of about 36 inches. This door frame punching bag bracket comes with a bag, hanging chains and MMA gloves at an amazingly affordable price. 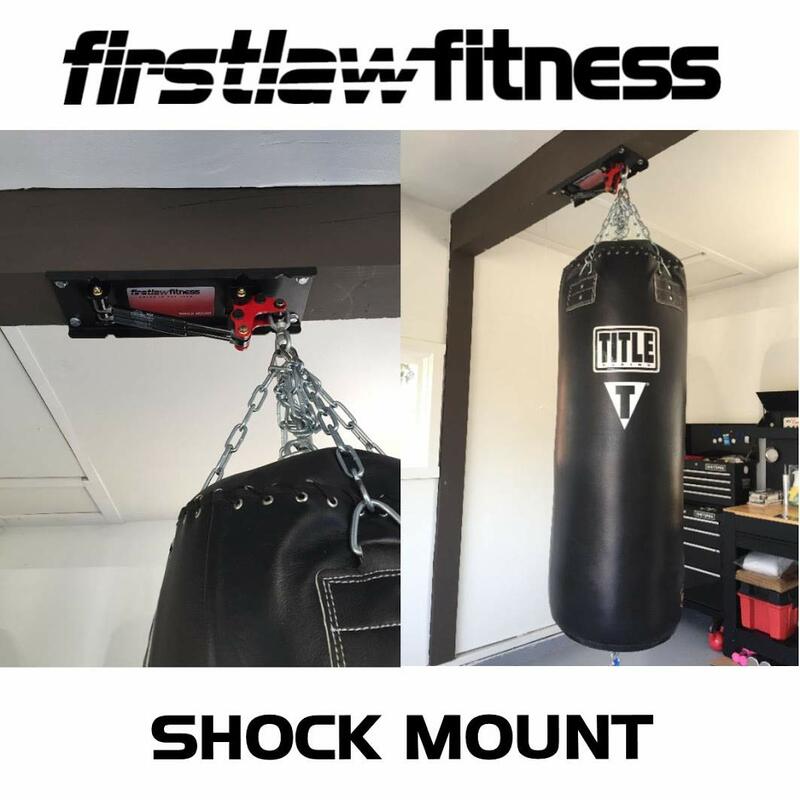 Completely made in the United States, the shock mount by Firstlaw Fitness can easily be installed on an open door frame with 16 inch spacing. The special gas shock technology of the mount helps in reducing the vibration and noise produced during workout sessions. The powder coated finish of the mount ensures a long lasting quality of its hardware. It comes with all the necessary screws included as well as preset weight settings to lift 70 lbs heavy punching bag. A standard doorway frame punching bag hook, it comes with a high quality 4 strand chain made out of carbon steel that has specially been shaped for punching bags. It can ideally be fixed into a door frame or wooden beams and can hold up to 100 kgs. 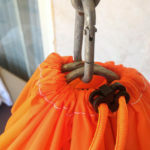 The hook and chains are galvanized that make them weatherproof for all seasons and adds years to the hooks life as well. This is probably the simplest of door frame punching bag brackets. It comes with a swivel hook made out of 18 gauge steel treated with anti-rust red oxide formulation and high quality powder coating. The hook easily supports up to 100 kgs of weight. It can be bolted on a door frame to provide easy movement of the bag during workouts and comes with all the necessary fittings needed. 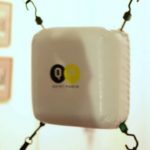 It is one of the most quiet punching bags as per reviewers. The best option for those looking for an economical doorway frame punching bag bracket. The First law designed L shaped bracket can be placed on the side joist of any door frame. It is extremely quiet punching bag. Once properly secured, it can capably hold up to 120 lbs of weight. 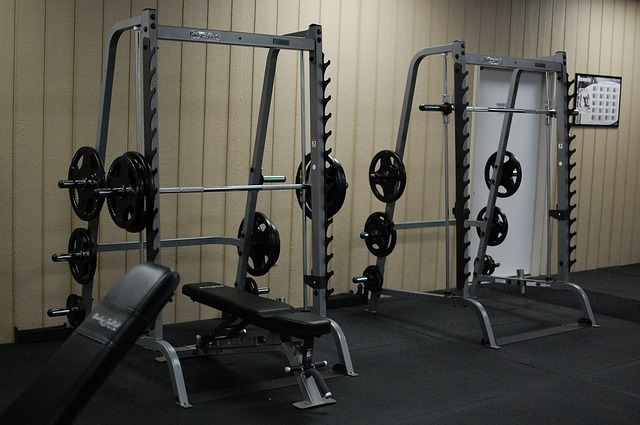 The bracket has a compression system built into it to reduce vibration and noise produced during the workout. It comes with a lifetime warranty and is exclusively made in the US. The last entrant on our list of the best doorway frame punching bag brackets is the Silencer – a quiet punching bag. A simple yet elegantly designed hook can transform any room in the house into a gym. The amazing German engineering of the Silencer allows it the free flowing movement in all directions with noise reduction up to 58%. It can be affixed on wall beams, door frames or drywall ceilings. 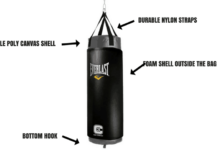 It can handle punching bags weighing up to 300 lbs and works better with heavier bags. It has strong industrial build quality and ships with all the required mounting hardware. Many of you tend to practice punching in your small apartments. It is understandable that you can’t take time from your busy schedule to go to the gym. In the apartments, there is a lack of space for hanging heavy bags. This is where an over the door punching bag provides assistance. All you need a door where you can easily hang it. The whole apartment is left for other essential tasks. For hanging a door punching bag, you require plenty of equipment and accessories, such as a stand. However, there is no such distress in case of over the door punching bags. You don’t require drilling screws into the door or wall. 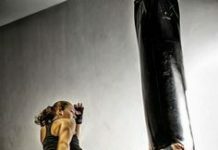 There is absolutely no extra hanging hardware needed for door punching bag. Hence, you prevent from buying unnecessary hardware for hanging the heavy bag. Over the door punching can be adjusted pretty easily. It can be positioned at a comfortable height on the door. You can adjust it for perfect alignment based upon your requirements. For young athletes, it can be adjusted to the perfect height by just tightening the straps. It is ready to knockout in just a matter of seconds. Other heavy bags take a lot of time to be adjusted. 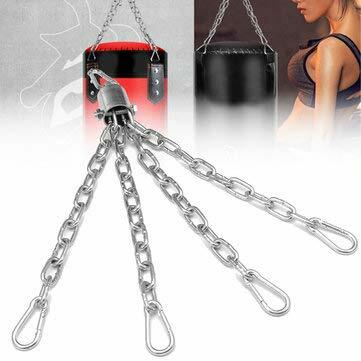 As compared to ordinary heavy bags, over the door punching bag is more sturdy and tough. It can bear hardest of the beatings. It is incredibly durable and can withstand toughest beating. It would give lessened wobbles and and vibrations. This is perhaps the best benefit of over the door punching bag. You often go on vacation and trip, but you can’t take your normal heavy bags with you. An over the door punching bag can easily be carried whether you are on a long or short trip. You can take it with you wherever you are heading to. 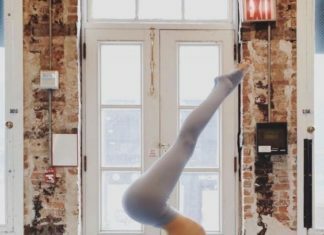 If you are staying in a hotel or small room, or small studio apartment, you can install it on the door to continue your practice even on vacations. Over the door punching bags are sturdy, but not that stable like traditional platforms. This would cause severe distress if you are practicing hard punches. 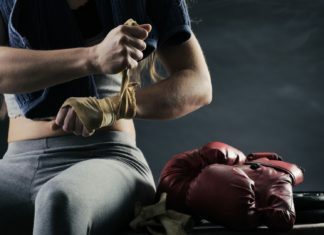 Instability is the last thing you want from your heavy bag. 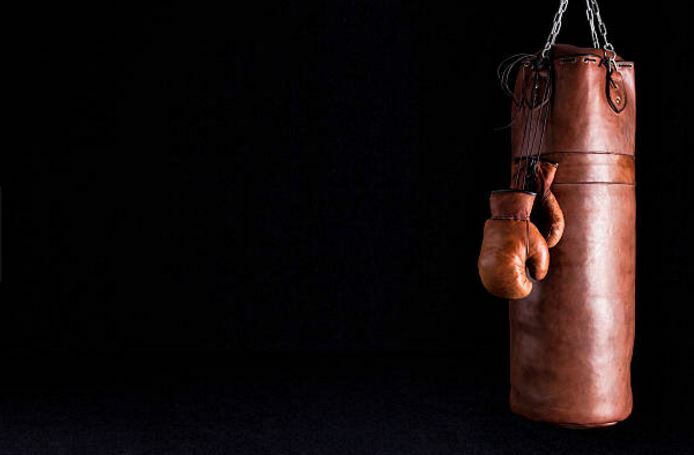 Several over the door punching bags come with faulty systems. The users have complained about difficulty of hanging them with some hardware. The faulty systems make it almost possible to set it up. 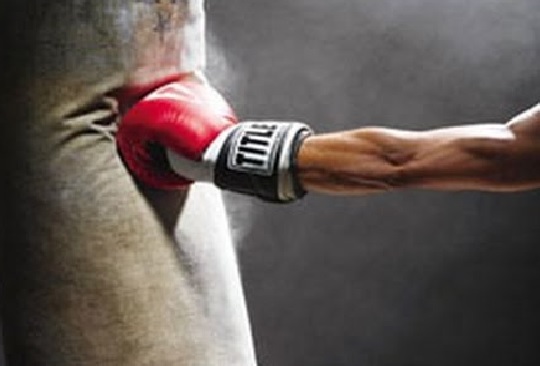 While you are practicing hard punches on the over the door punching bags, the door frame is likely to be damaged. Continuous practice on such punching bags would significantly impact the door frame. In summary, a door frame punching bag has both pros and cons. But it is still the best choice for those who are choosing a punching bag for the first time. Can I use a regular boxing bracket on my room’s door? The answer to your question is that you can’t use a regular boxing bracket unless it specifically states that it can be used as a door frame hanger. In most cases, boxing hangers/brackets are made specifically for a single purpose i.e. wall bracket, ceiling bracket, and so on. Door frames are delicate, if you use your existing bracket (if it can’t be used on a door frame) then you will ruin both. Better to read the product manual. How much weight can a door frame bracket handle? On an average, all door frame punching bag brackets can easily handle 40kgs-60kgs of weight. If your boxing bag weighs more, then read the punching bag bracket manual. It will have the weight limit listed on the packaging. What is the average price of door frame punching bag bracket? 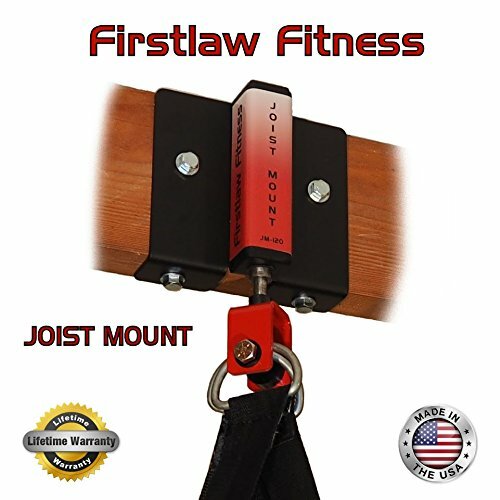 Most punching bag brackets are under $100. You can get a good one like Yabbay pull-up and punching bag bracket for half the price. It serves both purpose and many of my friends are happy after using it. Now that you know a little about door frame brackets for punching bags, it is time you start experimenting with your on door frame. 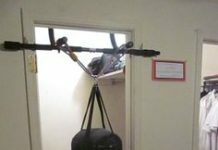 Why not get a decent door frame hanger and hang your punching bag on it?